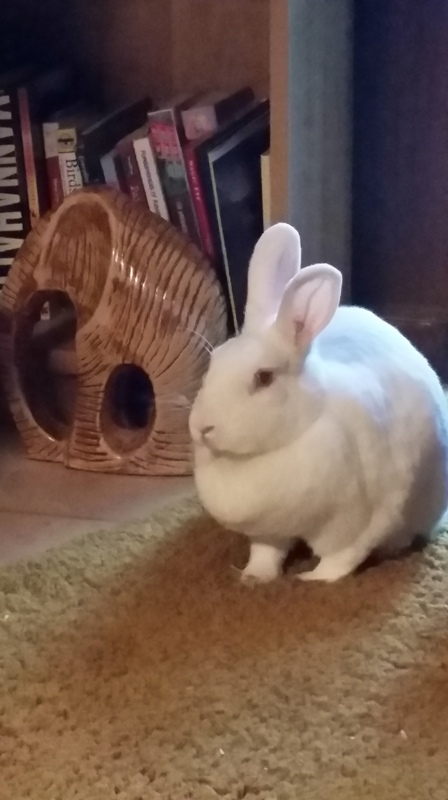 It is with great sadness that I have to report the passing of Bonk on Tuesday evening. She went unexpectedly and suddenly but thankfully very quickly. Phil and I were both in the room when all of a sudden she appeared to have a heart attack. 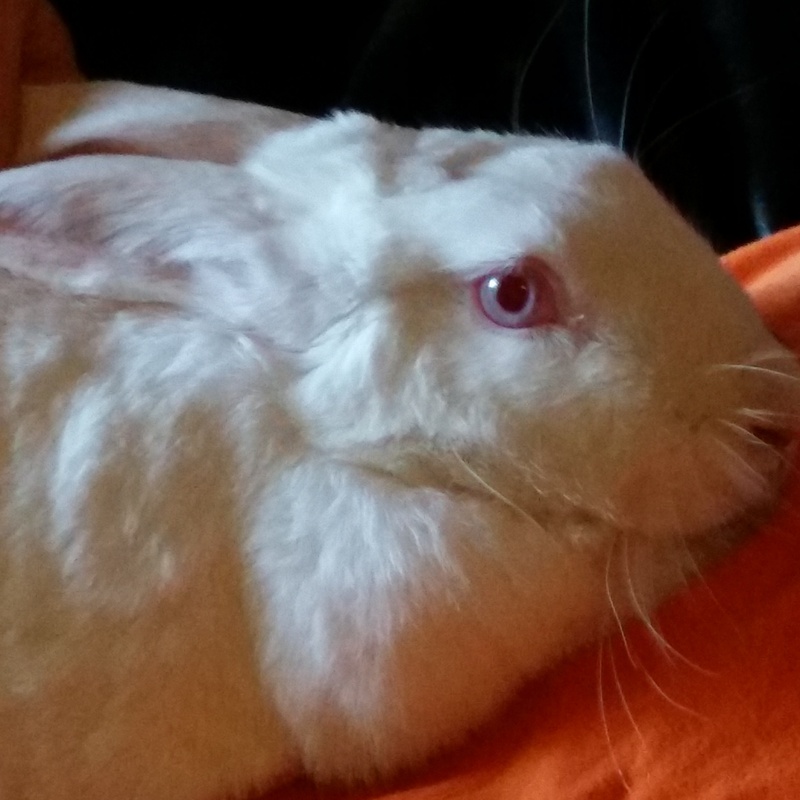 It is also possible that she had gastric distress which is very common with rabbits. 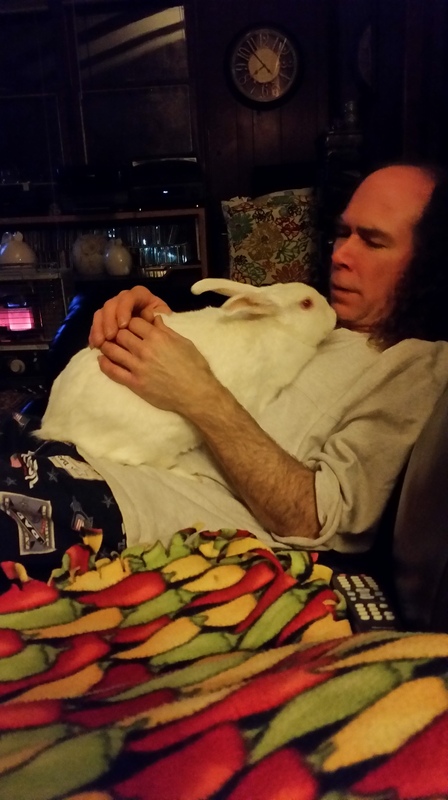 Either way, she will be dearly missed by her bunny and human family alike (we are one). Bonk had a unique personality. She was born at a petting zoo on the fourth of July. She loved Llamas and Burros but insisted that “Goats are jerks”. She even had a pet elephant! Bonk had a great sense of fashion and liked to dress for special occasions. Phil and Bonk would crack each other up during their verbal sparring. Phil was her favorite person in the world. 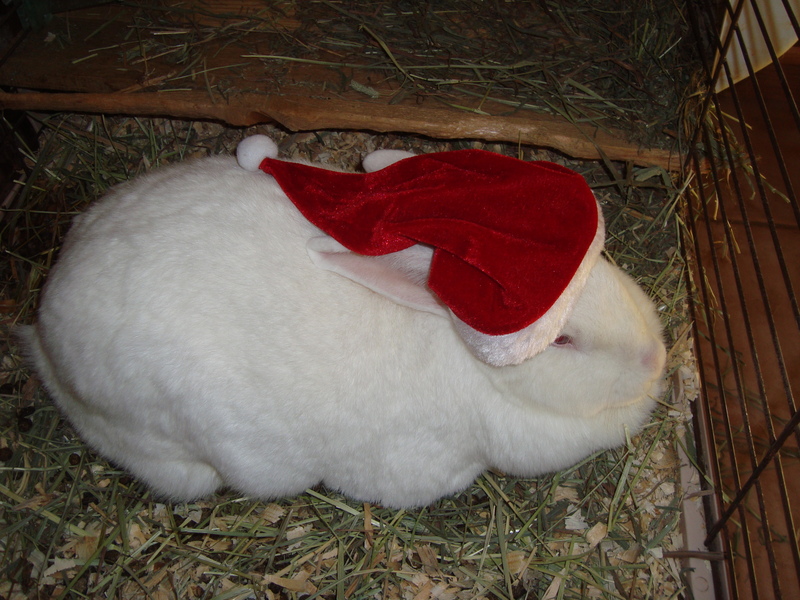 Bonk was a really Good Bunny and a really good friend who will be dearly missed.